The Miami Heat assumed that they were going to beat the Chicago Bulls in the opening game of round two of the NBA playoffs in Miami. So did everyone else. Well, everyone else but little Nate Robinson and the rest of the Bulls squad. By the time the Bulls team arrived in Miami on Sunday evening, they were already 12 point underdogs for game one of the seven game series with the Heat. Yea, the same Miami Heat that brought their 27 game winning streak into Chicago, again heavily favored and the Bulls beat them… ended the streak. But the Heat had been resting comfortably at home since April 28th after dispatching the Brewers in four straight. 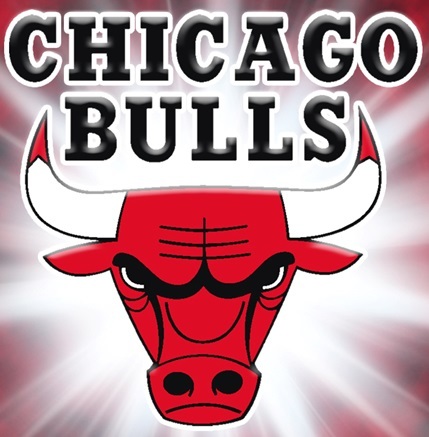 The Bulls however were just coming off an exciting, difficult series with the Brooklyn Nets and were fired up and ready to go. That could have had something to do with it. Seven year NBA veteran Nate Robinson was certainly fired up. “Nate the Skate” continued on his driving and scoring romp down in Miami. Robinson was actually the third-string point guard on the Bulls roster but he sure as hell didn’t play like a third stringer. He actually took over the leadership role out on the court and guided his mostly younger team mates up and down the floor all night. It was a very aggressive game from the start. It had to be. One stand-out moment came when the biggest guy on the court, LeBron James, and the littlest player on the floor, Nate Robinson got tangled up going for the ball. In the mix-up LeBron’s big foot came down across Nate’s forehead and the blood flowed. To his great credit, LeBron was the first one back over to Robinson to see if he was alright. In doing so James displayed both sportsmanship and compassion for a fellow player and he racked up a few more points with a lot of folks as well. Nate had to be taken back to the locker room where he had to be sewn up with 6 stitches to close the wound. 10 minutes later he was back on the floor sinking 3’s from both sides of the goal.